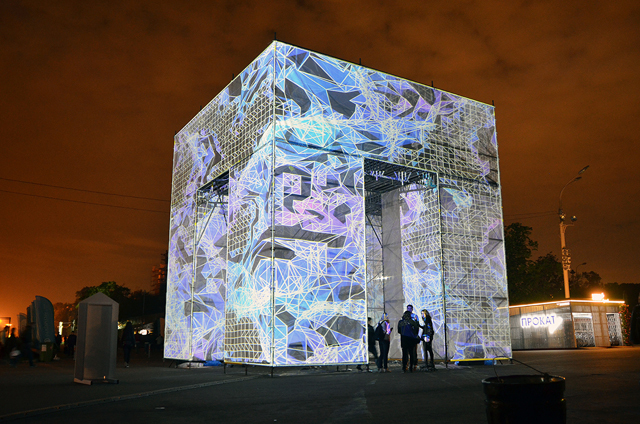 Marcos Zotes‘ P-Cube uses the industrial everyman material of scaffolding and combines it with semi-transparent fabric to create a temporary installation at Moscow’s Polytechnic Museum. 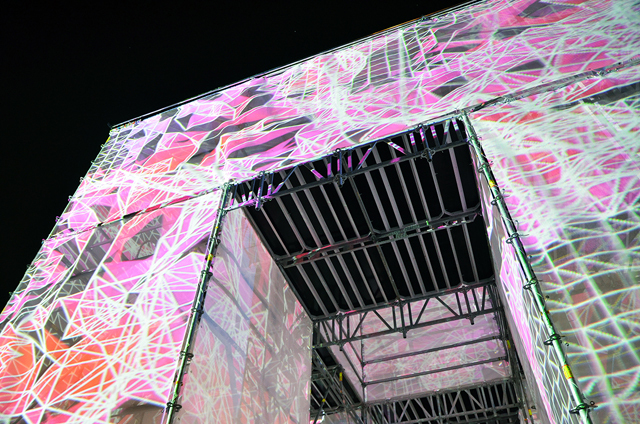 By day the structure has a spectral presence and at night geometric projections make it pulse gently with digital life. 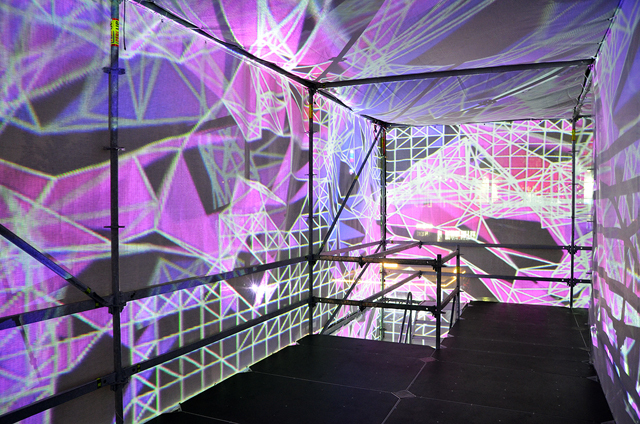 The public can walk inside the near 30-feet by 30-feet temporary pavilion, walking up a stairway to a viewing platform where they can look over the site and are immersed in the grid-like morphological projections mapped onto its skin, along with the interplay of color and shadows. 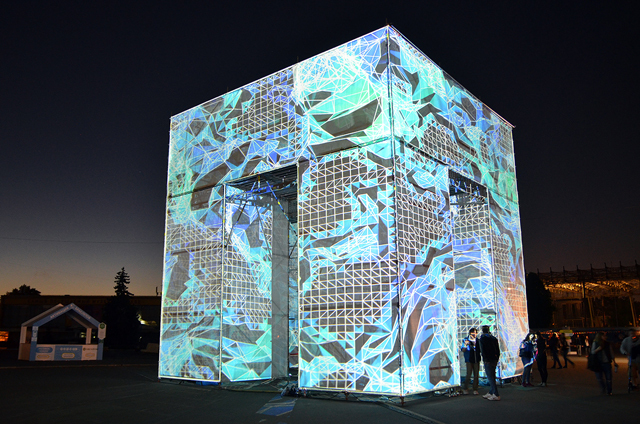 Like many of Zotes’ projection-mapped structures, as well as being economical, resourceful, and easily assembled, the piece provides a meeting point for people inside an architectural animation. 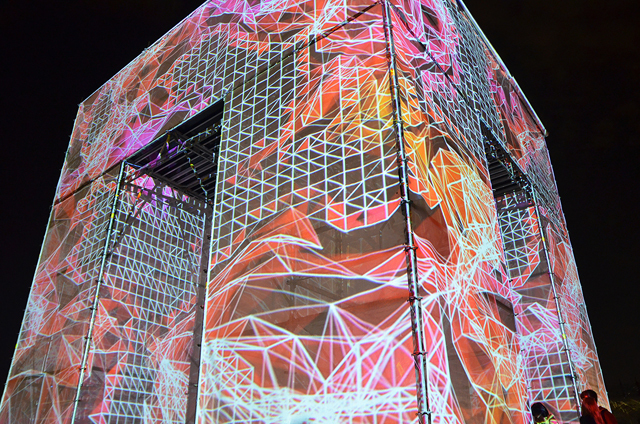 The piece was accompanied by music from Pixelord, a Moscow-based musician. 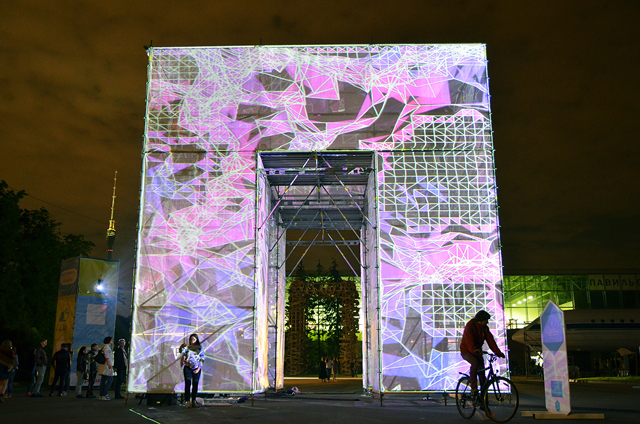 To see more of Marco Zotes’s artwork check out his site Unstable.